From the company's original establishment in 1946 in Stapleford, Nottingham, the company has continued to grow and supply a top-quality, efficient service at affordable prices to all our customers - both in the commercial and private sector - throughout the East Midlands and beyond. 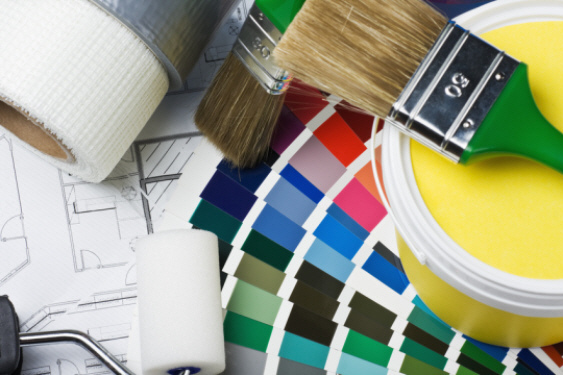 We have a team of highly experienced painters and decorators, who have worked with us for many years and who are all trained and qualified in all aspects of painting and decorating techniques. We are committed to our apprenticeship programme, which is vital to ensure that we can continue to maintain and develop our skills to the benefit of our customers. We undertake works on a variety of contracts, both large and small, throughout the Midlands – including Nottingham, Derby, Leicester, Northampton, Birmingham and Coventry. We would also consider any projects further afield. Regularly undertake works on upgrading social housing for local Authorities based in Nottingham, Derby, Leicester and beyond. Regular maintenance programme's for Schools/Academies in the Nottinghamshire/Derbyshire area and beyond to upgrade and freshen up internal and external areas, classrooms, corridors and play equipment.